CSS has come really far and now has really cool enhancements; some are under consideration, some are already part of specs. 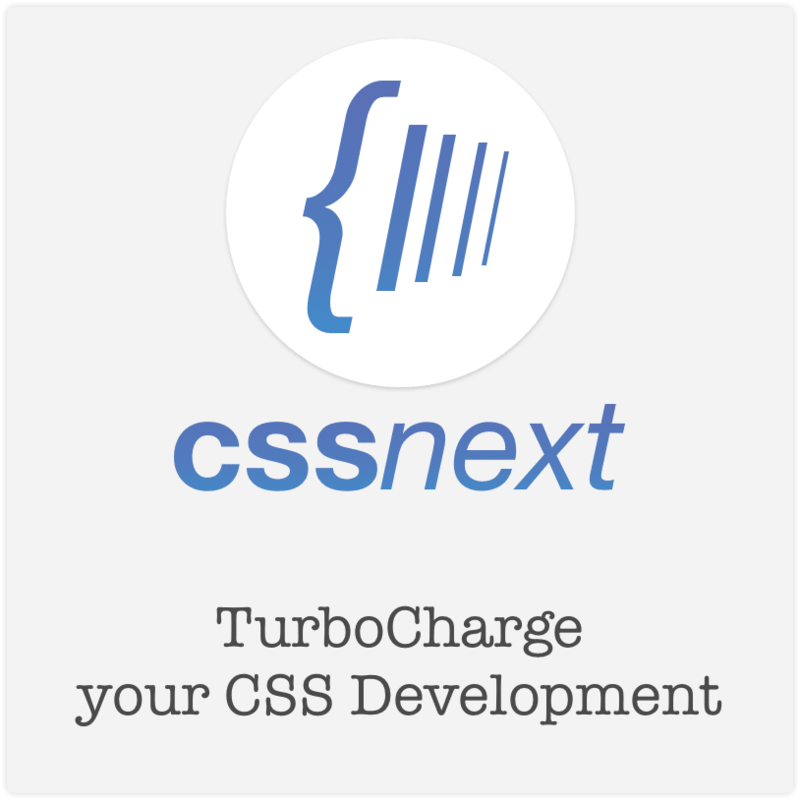 Those enhancements will turbocharge your CSS development in terms of speed & experience. But still, they might not be available in Browser. CSSNext with PostCSS comes to the rescue. CSSNext is set of PostCSS plugins to enable CSS features for your development. Variables are the easies way to make the consistent changes apart from single responsibility CSS files. 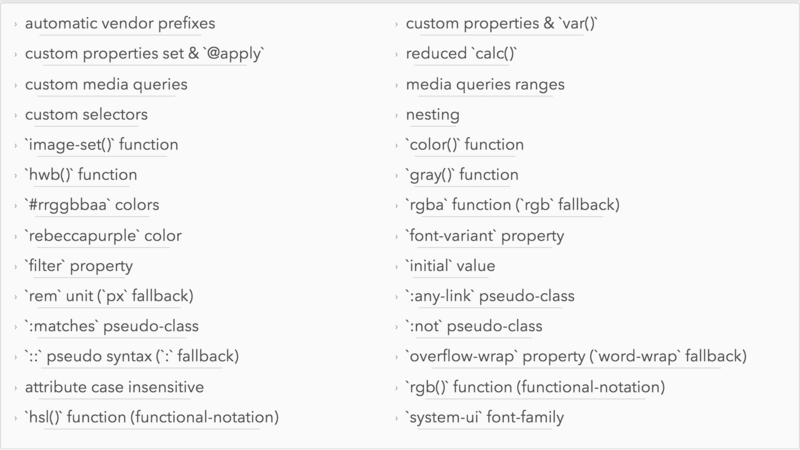 Nested rules are one of the primary reason people moved to LESS or SASS. With CSSNext, you can do so. But the feature does not end here. With CSSNext, we have @nest. Managing colors is also a big hassle in a project. Generally you would have color code for every definition. Though with advanced color manipulation, you can limit the color code definition to minimal so that you don't have to change a lot (and remember every place you wrote that color code). HWB (Hue, Whiteness, Blackness) is another way to define colors. HWB is similar to HSL (Hue, Saturation, Lightness) but more readable. Many color pickers allow you to pick color in form of HSL curve. You can define Hue in terms of Integer from 0 to 360 or degrees from 0 to 360. This polyfill is enabled by https://github.com/SuperOl3g/postcss-image-set-polyfill. It allows you to set different images for each kind of resolution of user device. Tell us about your experience with new CSS features.